Life can be infinitely more enjoyable and satisfying with the right partner. I'm ready to begin work on your seduction package. While working with your charts I can easily add other reports, so I offer those at a large discount. To complete the order please click the buy now button for either your package, or the optional upgrade. I use Paypal as a secure third-party payment processor for your protection. You don't need a paypal account - you can use a regular credit card, with no additional charges or account setup. If you use a credit card the charge will appear as "Paypal - CompAstro"
I use Paypal as a secure third-party payment processor for your protection. You don't need a paypal account - you can use a regular credit card, with no additional charges or account setup. My goal is to exceed your expectations and provide reports of the highest quality and value available anywhere. 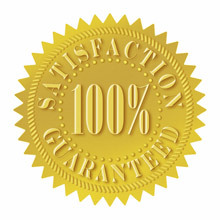 All reports have an unconditional 100% money back guarantee if you're not completely satisfied. Thank you! From the authority on relationship astrology! Compatible-Astrology.com is now averaging a staggering 2 million visits per year - I'd like to say a giant "Thank you!" to all my new and repeat clients worldwide who have made this possible! For security reasons please note you will not be able to navigate back to this order page if you leave it. Return to astrology readings page.